Local History of the worst possible kind! The story of Carnage Hill. A site for anything linked to the Island. Follow by Email: We will not use this to send any other notifications. This post is shamelessly copied from a local history book, now out of print, that is also available in pdf format on line: http://www.bayburn.com/29128%20Helen's%20Bay%20&%20Crawfordsburn%20History.pdf. It is one section only of a much larger and more broadly based book. All credit is then due to the book's author, and to the team at bayburn.com. Those who have travelled the main road between Bangor and Belfast will know the corner known as ‘the Devil’s Elbow’, which is located just before the junction leading to Seahill/ Rockport. On the left side of the road when travelling from Bangor there is a small road leading up into the Holywood hills. It is now called Carney Hill, but according to this article that name derives from Carnage Hill. To see where it got this name read on. Many thanks are due to Sam, my friend and avid local history buff. It was he who originally showed me a paper copy of this book. Unfortunately it is not a proud episode in our history. Although the townland of Ballydavey is strictly outside Helen’s Bay or Crawfordsburn, the scale of the little-known massacre on a wild winter’s night early in 1642 justifies its inclusion in this book; moreover some of the perpetrators came from Crawfordsburn. The massacre does need to be seen in the historical context of a violent time, which included the 1641 rebellion and province-wide atrocities. Some months before there had been a fracas involving the O’Gilmores and Scots settlers at Dundonald, though given the disturbed state of the country and indeed the Proclamation referred to below, this is unlikely to have been the sole motivating factor. After ‘.. that party of Scotch men did abyde with them and supt with the said Irish and were very merry till about midnight, the party fell upon ye said Irish and stript them and a little aforeday fell a-killing of ye sd. Irish.’ At the end of this treachery, 73 Irish had been killed. Katherine O‘Gilmore, who subsequently moved to Ballynahinch, escaped by hiding in a ditch. She told the Commission, which appears to have involved the High Court of Justice sitting at Carrickfergus: ‘8 days before Candlemas next, after ye Rebellion, shee then living in ye townland of Ballydavy, in ye Barrony of Castlereagh, altogether with tenn familyes more, of all which 11 familyes there were (of men, women, and children) killed to her own knowledge, seaventy and three by a great company of people (being) to her estimacon in number about 200, who were brought thither by one Andrew Hamilton of the fforte, James Johnson the elder, and James Johnson the younger, both of Ballydavy, John Crafford of Craford’s Burne; and further she saith that James Johnson the elder killed one Henry O Gilmore, brother to the examinat, at her own sight, and likewise she saw the sd. James with his sword slashing at one Edmond Neeson, who was killed but shee knoweth not whether he made an end of him or not, for on the recept of the first blow, the sd. Neeson rann to the lower end of the house, among the rest of his neighbours, the cause of her knowledge is that a short space before, the said Andrew Hamilton had putt her out of the door of the house in consideracon of her tartan, after which shee lay her down in a ditch which was right before the door where she was unespied of any as she supposeth, the night being very darke, rayny and windie. Thomas O’Gilmore survived the massacre but only for four days. Owen reported what happened: ‘Ye constable one Robert Jackson of Hollywood, did bring with him one Thomas O’Gilmore, uncle to this examt. ; whom ye sd. Jackson brought to ye sd. place with his hands bound behynd his back with match, ye sd. Jackson brought ye sd. prisoner to Bangnell to ye …. And ye sd. Capt. would not receave him at all; so so sd. constable took ye sd. prisoner back, and this exampt., thinking yt they would cary him to Bangnell accordingly did follow them; but as ye constable (and another man) went up ye mountaine betwixt ye sd. Kirkdonnell and Hollywood, this exampt. did see ye sd. Jackson, constable, kill ye sd. prisoner, Thomas O’Gilmore with a sword, and this exampt. did goe to him after yt ye sd. constable was gone away and perceaved severall wounds yt ye sd. Tho: had, both cutts and stabbs.’ We also have information about the planning of the event, which was clearly premeditated. James Gourdon of Clandeboye was pressed to join in the attack: ‘His mother told him that there were some of the town, two or three tymes looking for him, to speake with him, and that she heard it was to goe out with them to kill the Irish that lived neere and about the towne; therefore she advised him to put himselfe out of the way and not to have any hand in the busines; whereupon he tooke his bed clothees and went and stayed and lodged in his mault kilne, a pretty distance from the sayd towne of Bangor. And he furthermore sayth that within a night or two after most of the towne of Bangor and the parish together made a compact with those of Ballydavy about Holliwood to fall out in two partyes in the night upon the neighbouring Irish to kill and plunder them. Local tradition has it that many of the bodies were buried in the Ballydavey limekiln. These tragic events are not perhaps as well remembered as they should be. It is some comfort however that many townsfolk of Bangor were so appalled at the events that they contributed to a collection for giving those killed a decent burial. The Rev James O’Laverty writing in the late 19th century links this massacre, along with one in Island Magee, to the Proclamation issued by the Lords Justices and Council in Dublin Castle in 1641/42, which in effect encouraged ‘all his Majesties good and loving subjects to pursue and plague with fire and sword, apprehend, destroy and kill, by all means and ways they may, named rebel leaders and their partakers, aiders etc’. In his History of Holywood, P McNamee records that one consequence seems to have been that it ‘completely cleared the parish of Holywood of the old Irish Catholic race.’ Harris wrote in his History of the County of Down published in 1744 ‘it is said that only one papist lives in the parish’ and the return given to the House of Lords in 1764 shows only seven; when the Catholic Bishop of Down and Connor caused a census to be taken in 1831 of all the catholics ‘belonging to the chapel of Holywood’, which included Dundonald and Crawfordsburn, the figure had risen to 81. Other sources suggest that at least some of the remaining Gilmores were driven into the southern end of the Ards peninsula, where the land was not so fertile. Peter Galbraith who farms up Carney Hill, had another local source, long since passed on, who maintained that in addition no less than three Irish chapels had also been destroyed at around this time; there does not appear to be any contemporary record of that, but it may be worth noting that the Raven Maps do have one and possibly two chapels in roughly the right area, indeed the one at Craigavad was next to a plot recorded by him as the ‘Priest’s Quarter’. It is also suggested that the Ballydavey settlement could have been a more linear one, along the route of what was then an important track, probably between Crawfordsburn and Dundonald, (crossing the Ballymoney Road at Pinch Hill). It is a photograph of the supposed site that is shown. While no trace of the kilns or bodies has been found, local farmers have found mediaeval potsherds in the area, and there is an unusually large quantity of large stones at the one location. Irish Jokes - Now these are old!! Below are as many Irish jokes as I could rustle up. Feel free to add more in the comments to this. Enjoy. My mate Paddy just told me that he robbed a shop last night. "What did you get?" I asked. "26 pictures," he smiled, showing me. "The cheapest one is worth over £180,000." I said, "Paddy, these are from an estate agents." A spokesman at Ringsend sewage plant in Ireland has announced plans to extend its capacity. "By how much?”, asked the reporter. He replied, "Two turds." “Mary, I’m just having one more pint with the lads. If I’m not back in 20 minutes, read this message again.” One afternoon Paddy and Mick were having a pint at a pub across from a brothel. For the craic, they sat in the front so they could watch the comings and goings across the street. The two lads were shocked when a Presbyterian minister walked into the brothel. For the love of a dog and vampires! This memoir of a much loved pet was sent by a friend, Mark McClean. The hugely strong links formed with family pets never ceases to amaze me, as does the trust that these beautiful animals place in the strange two legged companions that they choose to live with.Dogs can melt the hearts of even the strongest of us.Rest in peace Gracie. It all started in 1987. The setting was a small fictional town in northern California called ‘Santa Carla’. The protagonist was a young teenage boy called Sam and his husky-type dog: Nanook. 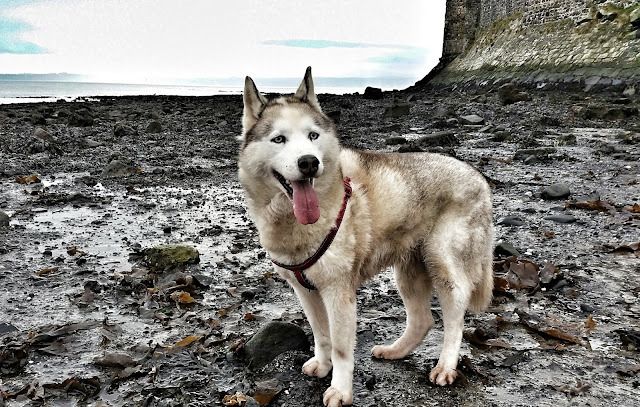 The inciting incident of the film plot unfolds to reveal Sam, along with Nanook and his family have just moved into a small sleepy seaside town stalked by vampires! Have you guessed the film? The Lost Boys. It was a cult-classic of the late ‘80s starring the late Corey Haim, Jason Patric and Kiefer Sutherland. I still hold to my comments published in my first Brexit post (see: https://oldandireland.blogspot.com/2018/11/brexit-dirty-word-in-any-european.html).But still the debacle rolls on.Frankly, nearly 3 years on from the referendum, the whole shambles is becoming downright embarrassing.I have used the picture below on my first post, but it is worth repeating. So a few more points. 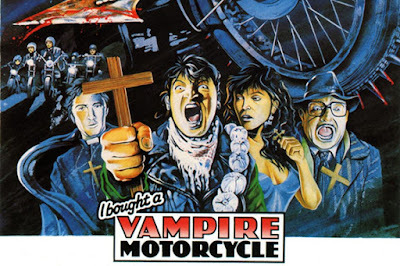 I bought a vampire motorcycle! Those of you with long memories may remember the movie, where a possessed Norton Commando periodically struck down anyone within range.The BMW Funduro mentioned in the last Motorcycle story here developed similar tendencies.I extolled its virtues as bike with decent power and good handling all for the price of a BSA Bantam.But while I was using the bike, a number of design flaws haunted my daily commute, but the last one beat them all. For those who don’t know, the Funduro was a BMW designed (and branded) motorcycle, built in Italy by Aprilia, using an Austrian Rotax engine.They were made from 1994 to 2000, with a revision in 1996 that addressed the major fault discussed in this story. Let’s face it, when you are buying second hand it pays to be cautious and to look for faults that the buyer may not have declared.I have no problem with this, although I do try to be as honest as I can when selling anything.What I do have a problem with are undisclosed problems that would be dangerous, but which would be impossible to find on any inspection without both prior knowledge of what to look for, and disassembly of the item being bought. Old and new sprockets from the Funduro. The gearbox output shaft should be a good fit in the splines shown on the new sprocket on the right. Instead its splines wore quickly to almost non existence. 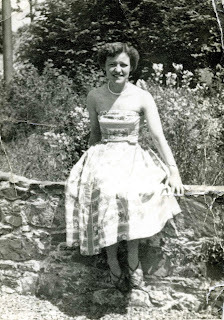 My mother died earlier this year, so while her stories of growing up and making her way her in Ireland are still fresh, I thought I would write a few down. I hope you enjoy them. _____ We all know that the last 40 years or so have been a time of massive change throughout the world, not least because of technological change.The transformation of Ireland from insular island to outgoing European state has been no less spectacular in that time.Go back another 40 or 50 years beyond that, a time still in the living memory of many of our older citizens, equally great influences like the great depression, world war and the birth pains of the Free State itself were making their mark.Into this maelstrom, in 1929, my mother was born on a small farm in the Ox Mountains of Co. Sligo, right on the border with Mayo. Paddock Days - Part 2 - Practical jokes and lessons in life. 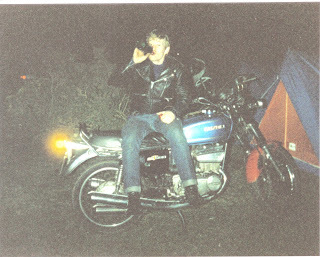 The photos were taken at the Mourne Rally about 1980 or so. 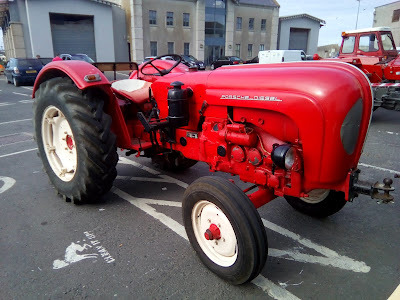 There is at least one urban myth about the Paddock that is still circulating in local bars.I know this because after a recent night out with his now middle aged biking mates, my brother surprised me by recounting the story when I visited him. What I thought had passed to the realm of a few peoples memory seems, like all good myths, to have developed a life of its own and to have grown with time and grey hair.But I know the less exotic truth, because I was there. Copyright remainss the property of the authors. God I'm old! (late 50's). I've had more jobs than anyone could reasonably shake a stick at, from melon farming to motorcycle couriering and everything in between. There are a few constants in my life. My lovely and long suffering wife, my lovely and long suffering home, and my lovely and long suffering motorcycles. I make no claims about being a mechanical genius, but if I can, I will try to fix just about anything. I make no claim either that you, the reader will like my opinions, but hey; that's life. If you have an alternative view, feel free to try and persuade me that you are right.